My Romantic Home: Great Deal $19.99 and free shipping today! Great Deal $19.99 and free shipping today! 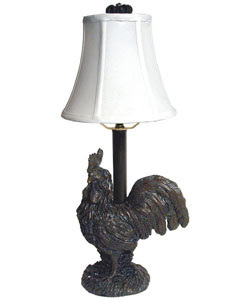 I found this cute lamp on Overstock today for $19.99 and there is free shipping today. The retail price was $119. I haven't decided if I'm going to order it or not. I think it would be really cute in my kitchen. I thought I would post this in case any one else is interested. The product reviews for this were really good! Update: I'm not sure if the free shipping is for everyone. I just noticed at the top of their webpage is says "Free Shipping Coupon Activated" so you may have to be a returning customer to get the free shipping. I actually ordered it! Thanks for posting!